With my monthly and weekly spreads, I love having a theme that I can pull through all my spreads for a cohesive look. 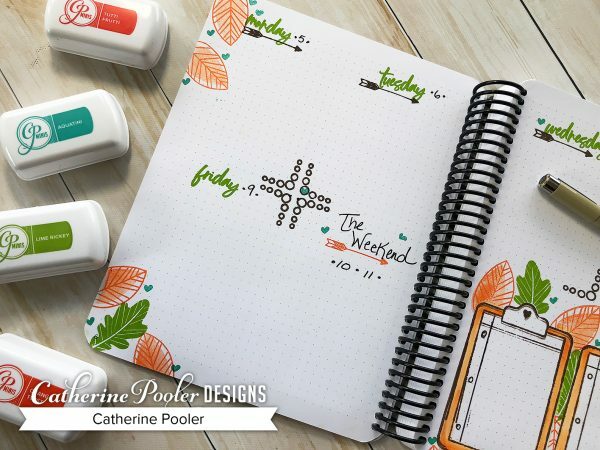 For November, I used the Leaf Motifs Stamp Set and created a lot of different looks. 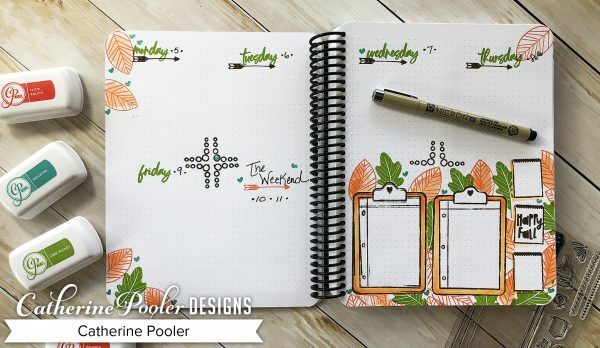 On this weekly spread I also used the Masking Technique and the Put a Pin In It Stamp Set. View the video to see how I did it! The corner stamps from the Put a Pin In It stamp set make great dividers for the days of the week and the clipboards are great for notes. 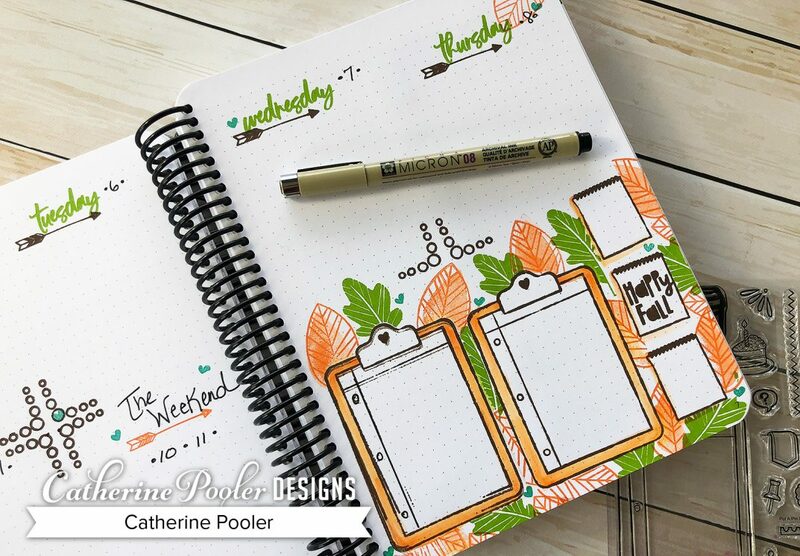 The steno pads stamped on the right would be great for appointment, special reminders or other notes. 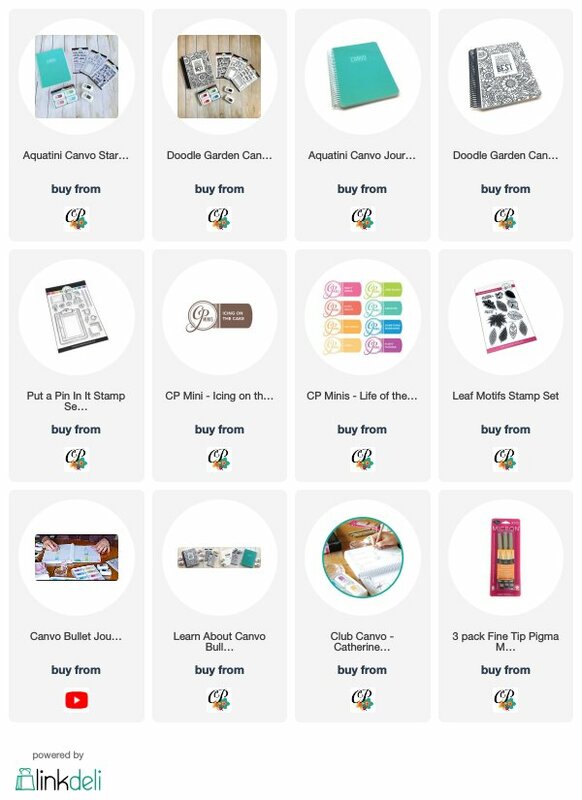 Have you checked out Club Canvo? 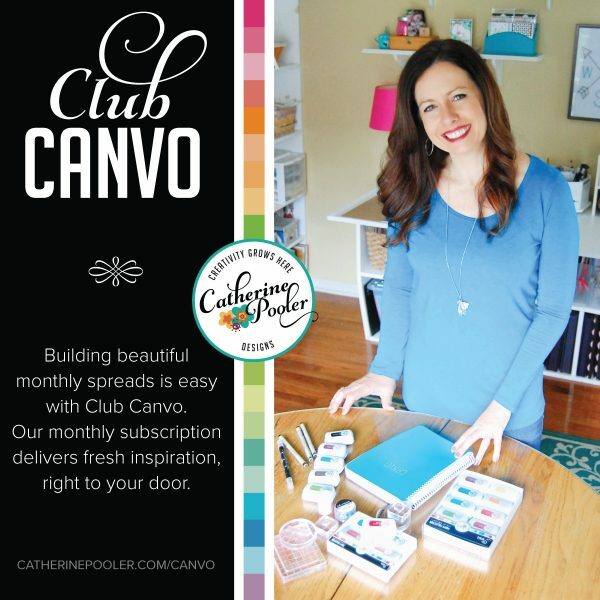 Click here to learn more about getting monthly inspiration delivered to your door! Registration for the first month of this subscription closes on November 30! If you miss signing up, the products will be in the shop by the 20th of December IF we have stock left. Thanks for visiting, hope you're day is awesome!